Kenya or Tanzania: Which wilderness safari is the one for you? 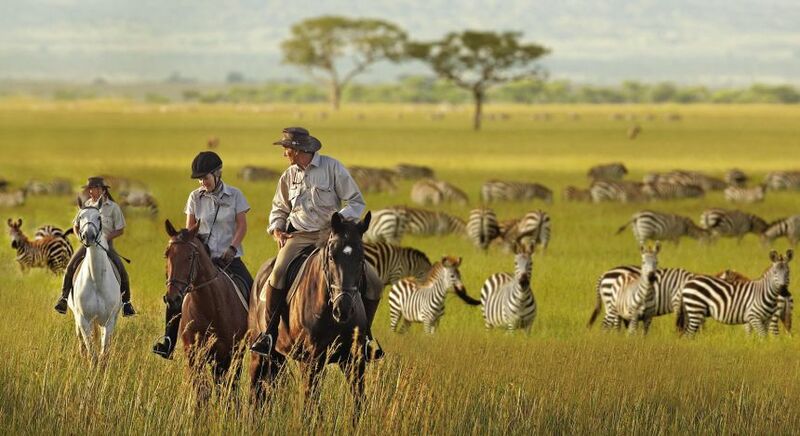 Have you been dreaming of an Africa safari tour but can’t decide between Kenya or Tanzania? Let’s help you choose the perfect wilderness safari destination for your luxury African tours. Vast rolling grasslands ringed by the towering snow-capped Mount Kilimanjaro, lush valleys criss-crossed by gushing streams, sprawling crater lakes and golden hills dotted by the occasional acacia – with thousands of wild animals roaming diverse terrains, Kenya and Tanzania have pioneered the concept of a quintessential African wildlife safari since the 1980s! 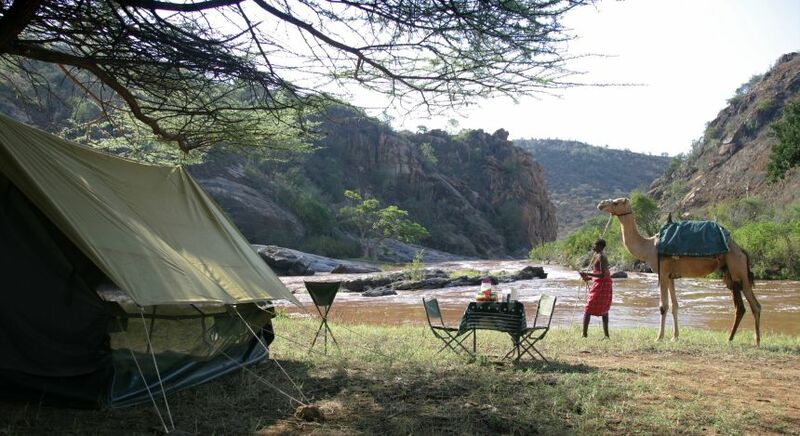 At both countries you can go on the classic wilderness safari circuit or venture off the beaten path. Given the sheer variety of experiences available, choosing between Kenya safaris and Tanzania safaris can be a daunting task. Let us make the decision easier by helping you plan the best African safari tours for you. Step away from the urban jungle of Nairobi and Kenya offers you a treasure trove of landscapes and wildlife experiences. In its swampy marshlands, golden grasslands and bush landscapes interspersed with moringas and acacias, giants have roamed for centuries. With some of the best known national parks in the world, a Kenya safari offers an astounding concentration of big and small game amid relatively smaller, stunning national parks. Think acacia grasslands under Mount Kenya when you think of buffalo sightings, the lush green pastures of Amboseli for elephants, and the dry Savannahs of Tsavo East for lions and cheetahs. And let’s not forget that jewel in the crown of Kenya – Masai Mara, which offers some of the best opportunities to see the African big five in action. See huge herds of elephants in the lush green pastures of Amboseli. 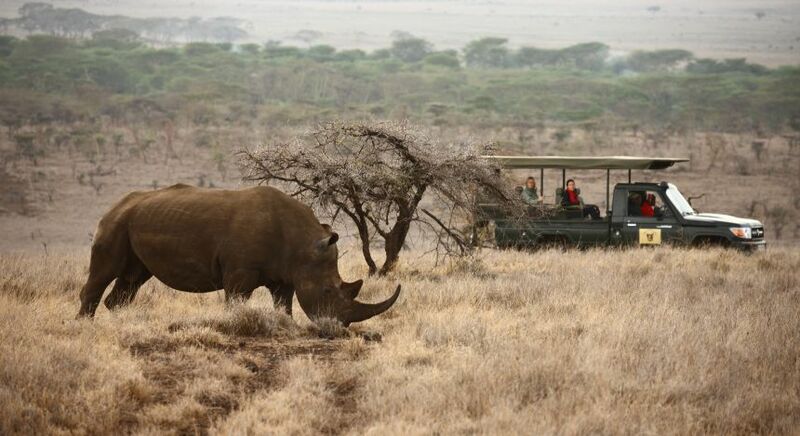 Discover endangered rhinos in Laikipia. 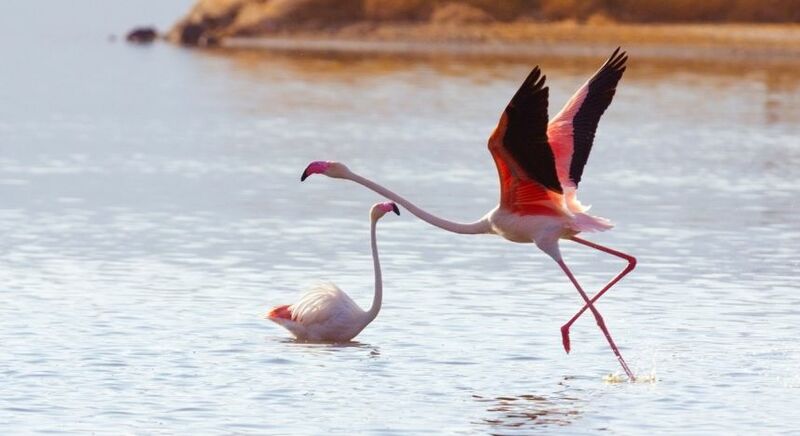 Diverse species of birds are to be found at Lake Bogoria. With some of the best known national parks in the world, a Kenya safari offers an astounding concentration of big and small game in smaller concessions and reserves as well. Typically, Kenya safari holidays begin in the spectacular dry deserts of the North, where the Adamsons raised Elsa the Lioness – a story documented through the book and film ‘Born Free’. In stark contrast to this heartland of native African species is the Masai Mara – your quintessential Africa of documentaries, this vast, awe-inspiring Savannah is where you can watch a wildebeest river crossing during the Great Migration. In the shadows of the Great Rift Valley, discover pink flamingos add an eerie glow to the waters of Lake Bogoria as zebras and wildebeest carefully skirt the shoreline. 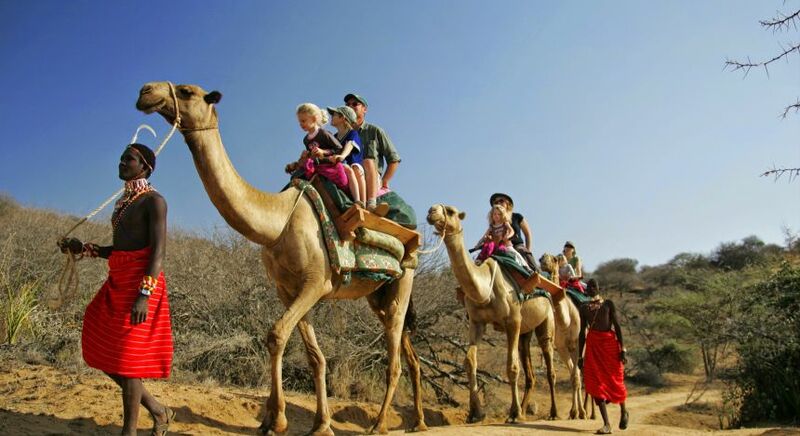 Or go off the beaten path in Laikipia – a rugged, hilly terrain punctuated by dense acacia bush which offers diverse experiences such as horse rides, camel treks and bush walks for the adventurous. Or go off the beaten track to the private wildlife sanctuaries of Laikipia, exploring the rugged landscape on the back of a horse (or camel!). 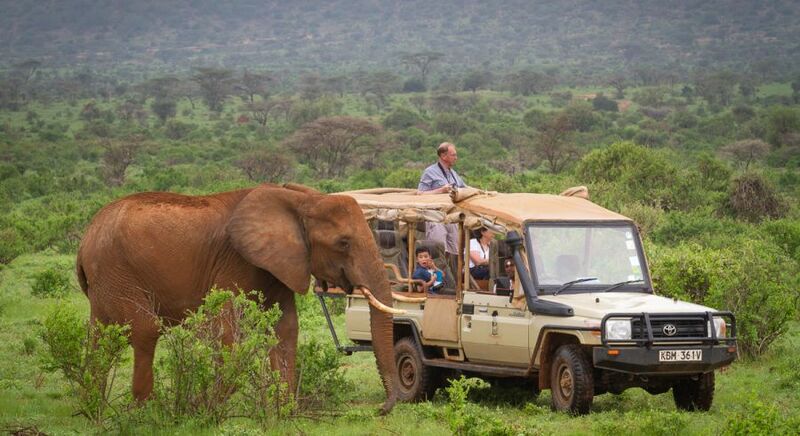 One of Kenya’s best-kept secrets, marvel at endangered rhinos, elephants, giraffe and a host of other wildlife on your game drives in Laikipia with no other soul around! 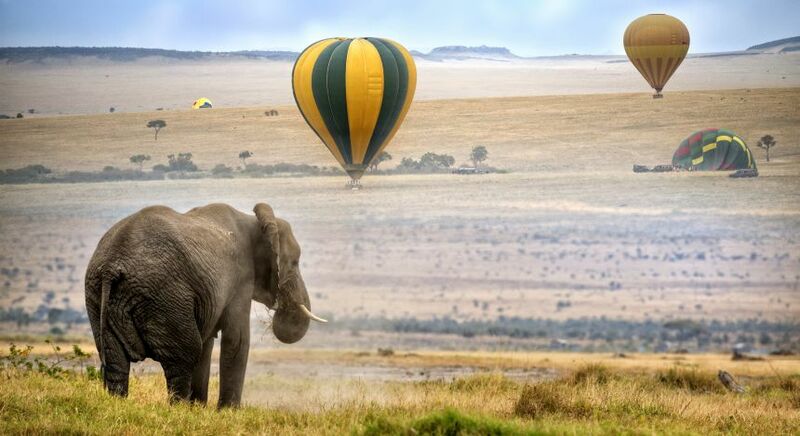 Whether you drive through, fly in on a chartered aircraft, or soar amid the clouds in a hot air balloon, Kenya’s national parks and community reserves guarantee unforgettable moments. 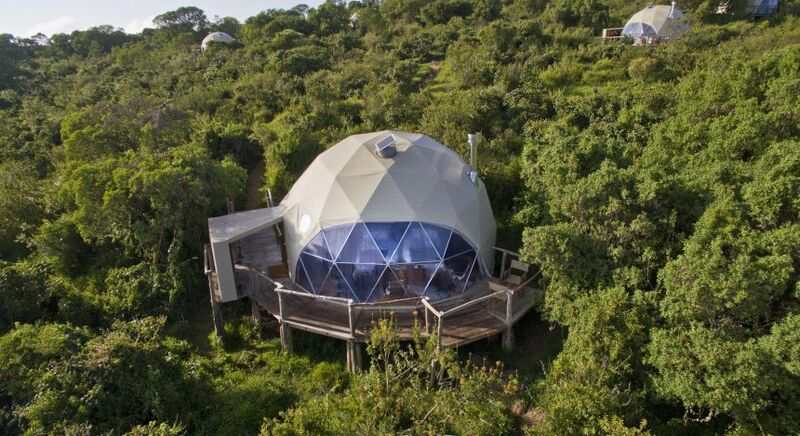 A Tanzania vacation takes you to the heart of the African wild. Just outside the busy port city of Dar Es Salaam, await some of the largest national parks in all of Africa. Nestled in the shadows of snow-capped Mount Kilimanjaro and Meru, Arusha, the wilderness safari capital of Northern Tanzania is the perfect gateway to the country’s best known national parks. Just next door, the tall baobabs of Tarangire offer welcome shade from the scorching sun to huge herds (the largest in East Africa) of ambling pachyderms who are often found gathering at the river in the heart of the park. Many a smaller creature, including wildebeest, eland, gazelles and zebra, walk amid these grasslands that may be less known but are no less beautiful. With fossilized evidence of life dating back three million years, Ngorongoro is truly the cradle of life. Cozily ensconced by the Great Rift Valley, Lake Manyara National Park and Ngorongoro Crater on the other hand, offer a stunningly unique ecosystem that shelter the largest number of predators in Africa, apart from the African big five. With fossilized evidence of life dating back three million years, Ngorongoro is truly the cradle of life. 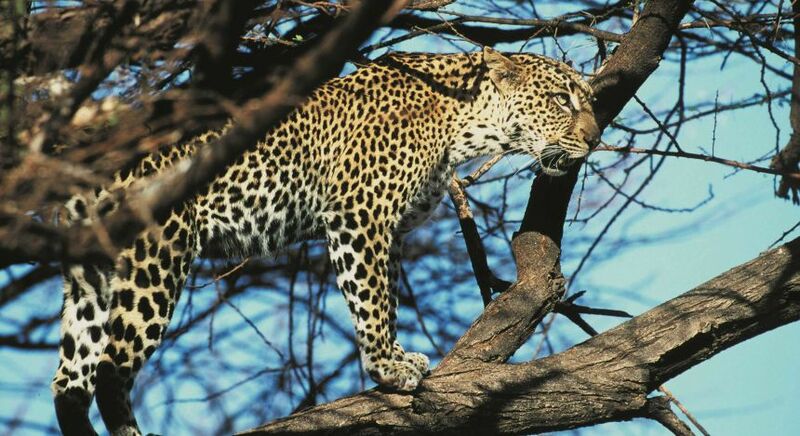 Lake Manyara on the other hand, is just as famous for its intrepid tree-climbing lions, and over 400 species of birds! 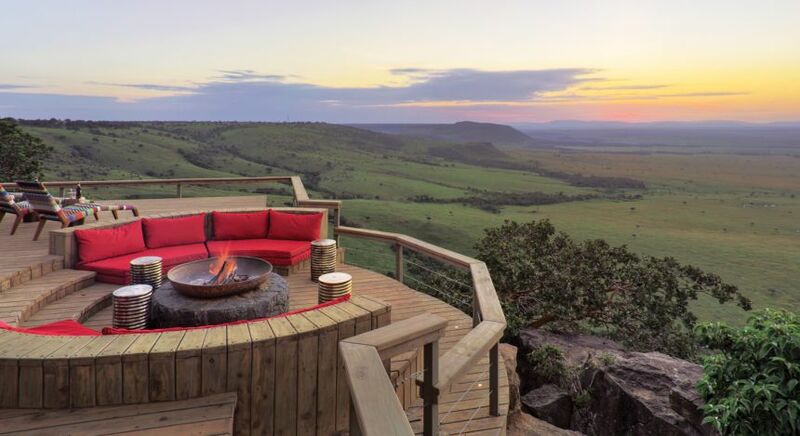 Here, you can yourself in the lush, undulating landscape, stretching from escarpment to grass-laden escarpment, marveling at gentle pink flamingos, enjoying glorious sundowners by the lake, watching giraffe squat by the water and wildebeest flee in panic as baboons signal the arrival of large predators. 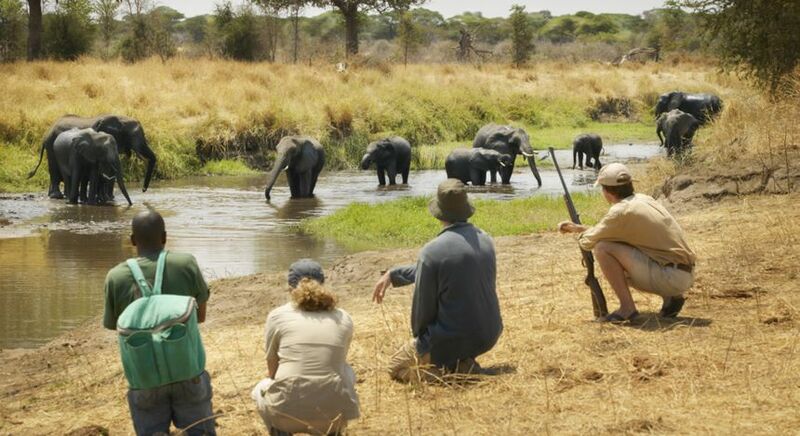 Go on a walking safari to spot your favorite pachyderms at Tarangire. 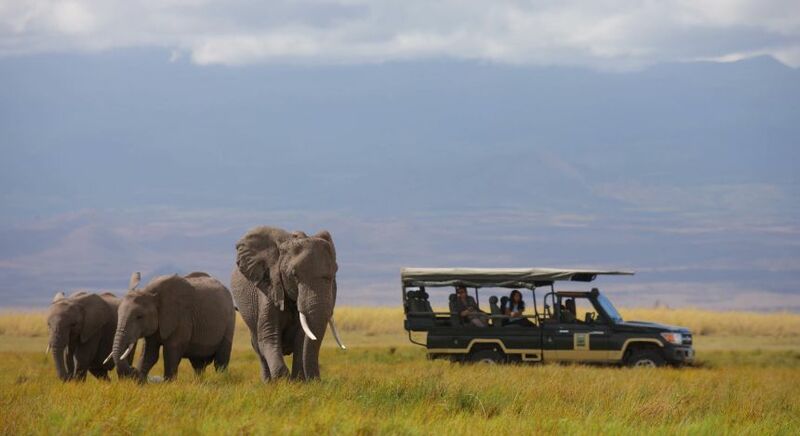 Journey to the African big five at Ngorongoro. 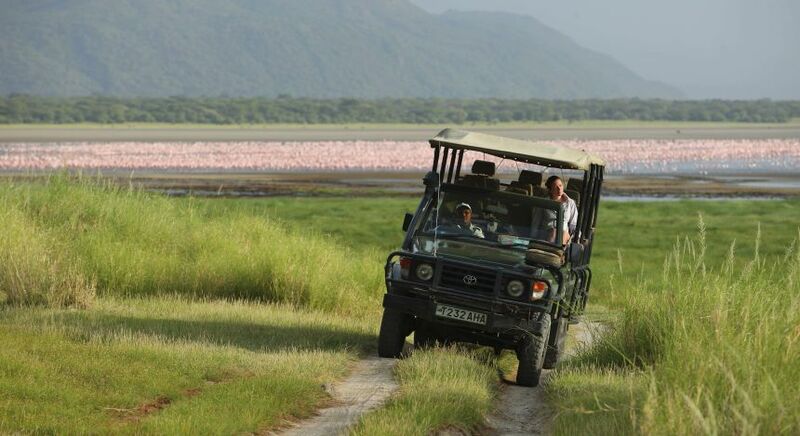 Rumble past the flamingo infested Lake Manyara. 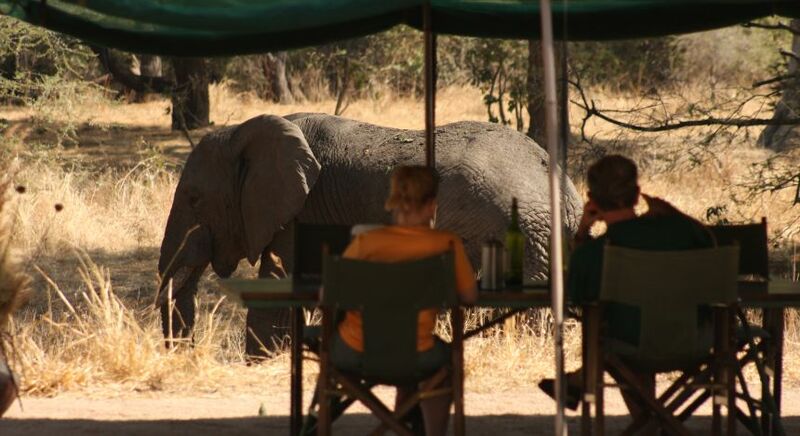 Enjoy rare, private wilderness safari moments, undisturbed by others, at Ruaha. Further east, watch large families of lions go about their daily business chasing an astounding number of plains grazers—zebra, wildebeest, gazelle—over a 10,000 sq. mile of seemingly endless plain dotted by occasional rocky outcrops at the Serengeti. 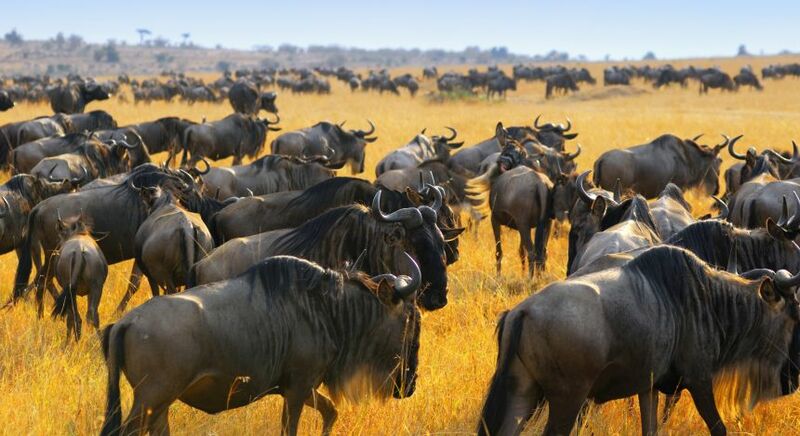 While thousands of animals are easily spotted on any given day, it’s most famous for the Great Migration, when over two million animals, stalked by their predators, move en masse, in search of pasture and water. To the south, enjoy rare, private wilderness safaris undisturbed by other vehicles at Ruaha, the largest Tanzania national park. And then there’s Selous, where nearly 10% of the world’s wild lions and numerous leopards, cheetahs and packs of wild dog, walk in vast plains dotted with occasional baobabs and palms that are typical of Central Tanzania. As part of the same ecosystem, many of of your wilderness safari tours in Tanzania may seem similar to those in Kenya. 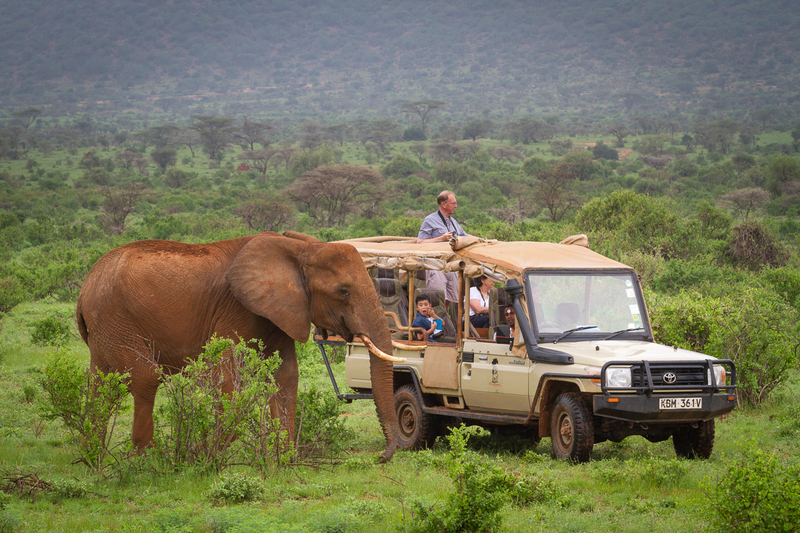 As part of the same ecosystem, many of of your wilderness safari tours in Tanzania may seem similar to those in Kenya. While just as many animals roam this vast land, in some parts of both countries such as Laikipia, Ruaha and Selous, tourists are few and far between. 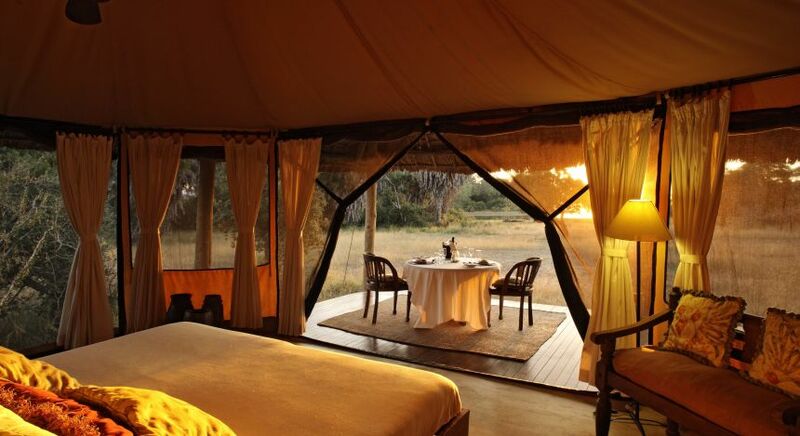 This is your exclusive and luxury African safari, with remote camps in pristine reserves that few visit. 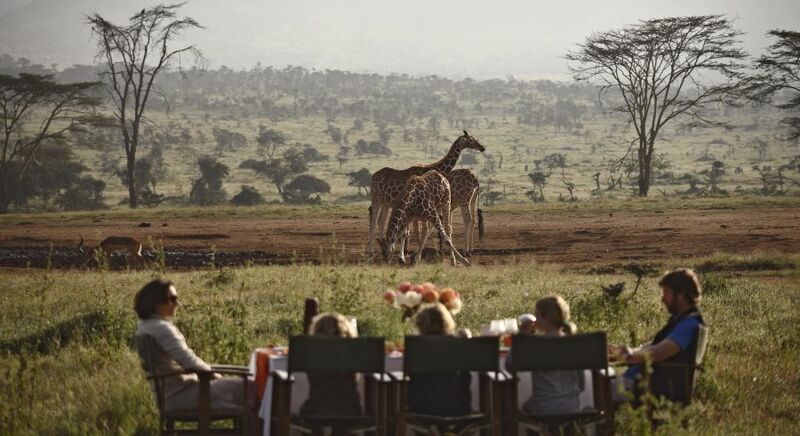 Meet the big five in the Serengeti, walk along the rim of the Ngorongoro Crater, watch hippos bubble underwater, or go on a Kilimanjaro trek with only a handful of fellow travelers – our destination experts are happy to help you find the perfect safari camp for you. Just as important as choosing the right wilderness safari destination is selecting the right accommodation for you. While Kenya and Tanzania both offer something to suit every budget, the location and experiences offered at each can vary considerably. Throw caution to the wind and set out fly camping with your cook and guide for company. Ol Pejeta Bush Camp is all about an intimate and comfortable safari experience in the heart of the wilderness. 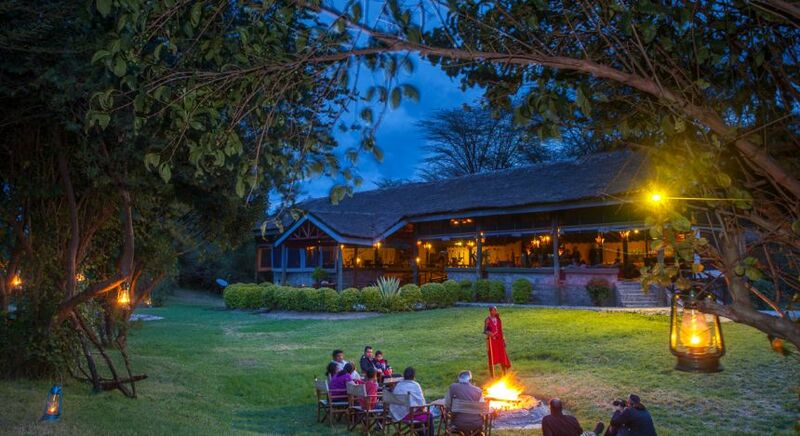 Enjoy a luxury safari experience while staying at the fabulous Angama Mara. 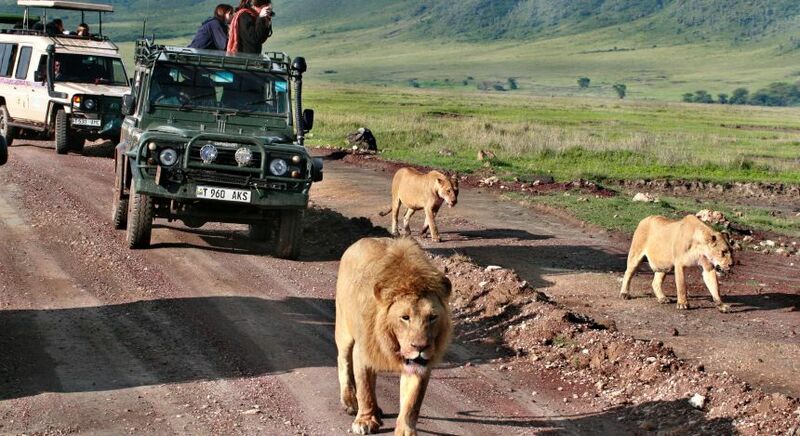 Often perched on the edges of popular Kenya national parks with wildlife casually strolling by, or set amid picturesque locales with easy access to superb game viewing opportunities, Kenya’s safari lodges and camps offer authentic and diverse experiences and plenty of opportunities to bond with fellow travelers over the day’s adventures. From affordable luxury to the exclusive and high end, Kenya offers them all. 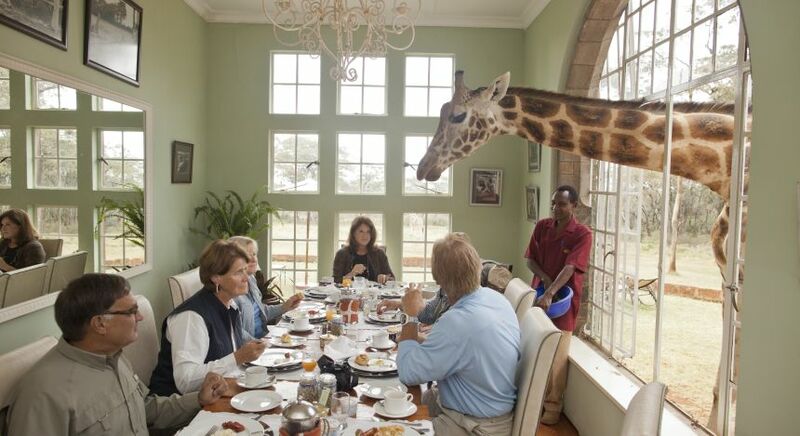 Fancy waking up to the sight of giraffes gliding across the Mara, and then nibble on a homemade breakfast? We recommend Tipilikwani, where cozy, ensuite tents set on the fringes of a vast national reserve offer you every comfort of a home away from home. Or would you rather clink glassfuls of delicious champagne over stunning sundowners enjoyed from your sparkling infinity pool? Then the luxurious Angama Mara overlooking the Mara is just what you need. Try fly camping in the Savannas, flitting from one location to the next, following in the trail of the wildlife. Tanzania too offers accommodation to suit every safari enthusiast, especially near the more frequented national parks such as the Serengeti and the Ngorongoro Conservation Area. If you’re looking for a wilderness safari on a budget, we recommend the Serengeti North Wilderness Camp – overlooking the crocodile-infested Mara River, this is your front row seat to river crossings during the Great Migration! 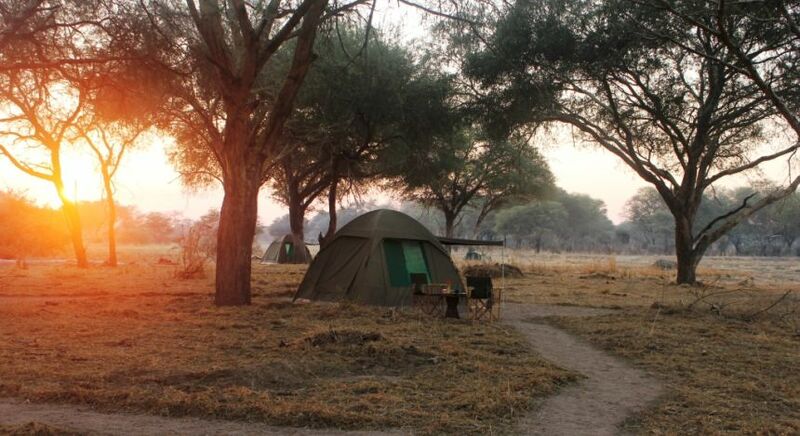 Or try fly camping in the Savannas, flitting from one location to the next, following in the trail of the wildlife. Lesser-visited, remote national parks and conservancies of Tanzania on the other hand, are known for exclusive high end accommodation, such as those in the Selous Game Reserve. Nestled in the heart of wildlife-rich areas, camps such as Siwandu and Roho ya Selous offer blissful cocoons of luxury amid an untamed wilderness. 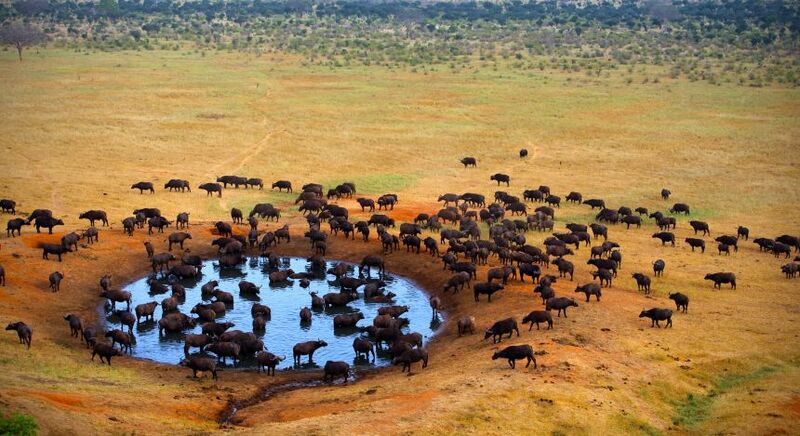 The Serengeti North Wilderness Camp offers a front row seat to river crossings during the Great Migration. 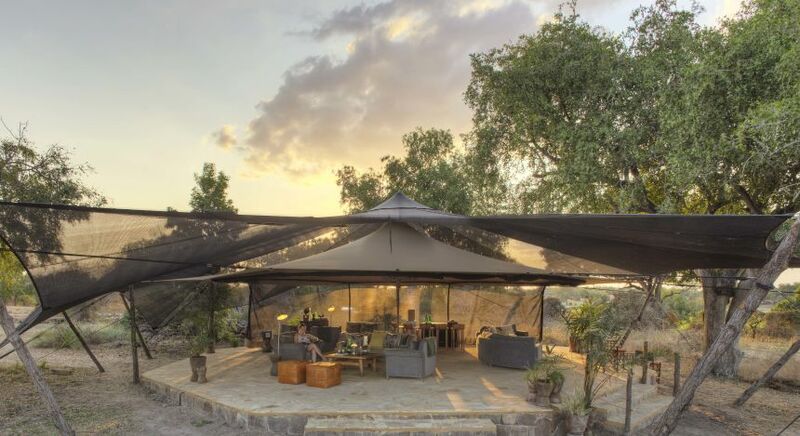 Intimate airconditioned tents of Roho ya Selous are located in a core game viewing area at the Selous, overlooking Lake Manze and Lake Nzekarewa. Siwandu offers a stay in the heart of a unique riverine and lake complex, where you can enjoy a high concentration of wildlife and birdlife. Kenya and Tanzania are both destinations of choice for holidaying with your kids. With several family-friendly accommodations on offer, Kenya and Tanzania are both destinations of choice for holidaying with your kids. Most safari lodges and camps offer the option of private guided safaris, so even the young safari-goers with you can discover the local wildlife at their own pace. What can make or break a safari? Only the opportunity to live your safari dreams, of course! Despite their proximity to one another, safari experiences in Kenyan and Tanzanian game reserves can be surprisingly different. While watching river crossings during the wildebeest migration in Kenya can be a thrilling experience, Tanzania is just as special with the calving season at the end of the migration. So, before you decide on which wilderness safari is for you, consider what experiences you would prefer. 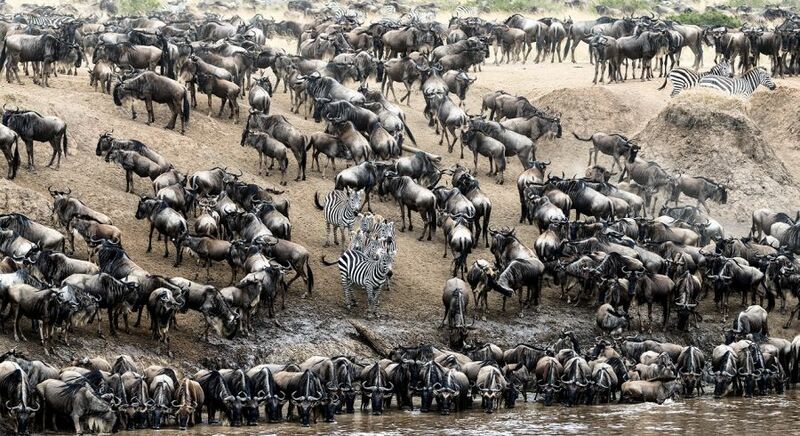 Watch the Great migration of wildebeest in Masai Mara, Kenya. In the Ol Pejeta Conservancy of Kenya, set out lion tracking armed with antennas that alert you to the whereabouts of these sneaky big cats! Set out on a camel safari and tackle the plains of Laikipia, or go horseback riding alongside endangered rhinos! Ride through the golden grasslands of the Mara, and visit local villages where children welcome you with open arms. At the giraffe center, your time is well-spent watching these elegant creatures while enjoying a pleasant meal, and at the elephant orphanage, you can do your bit to help rescued babies literally find their feet! End with a beach vacation amid the swaying palms of pristine Diani – soaking in the sun and the surf, this is your perfect honeymoon safari ! End your vacation amid the swaying palms of the pristine Kenyan Coast. 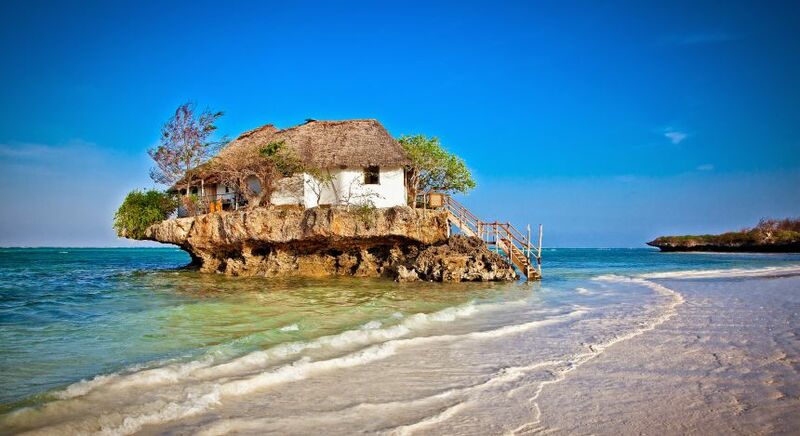 Pristine Diani Beach on the Kenyan Coast is ideal for your safari honeymoon. 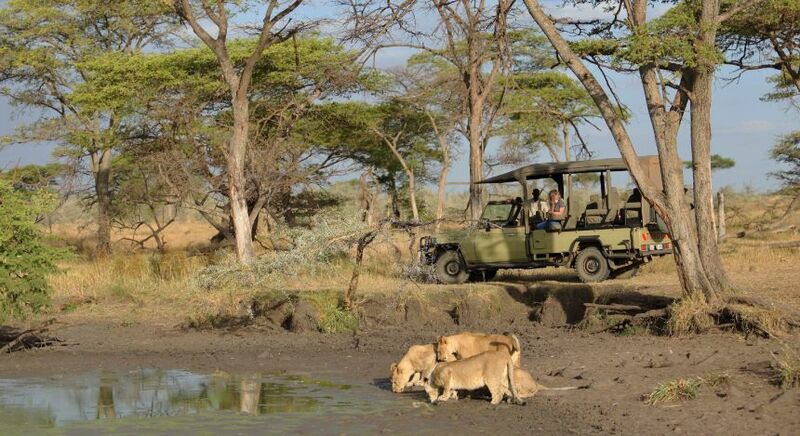 Tanzania on the other hand, offers a wonderful combination of wildlife safaris and cultural encounters. Walk alongside gentle giants in Serengeti National Park or tackle the precarious pathway atop the Ngorongoro Crater. Climb Mount Kilimanjaro – the highest peak in all of Africa. Swim with whale sharks, snorkel in coral wonderlands or picnic on sandbars – your options are many. 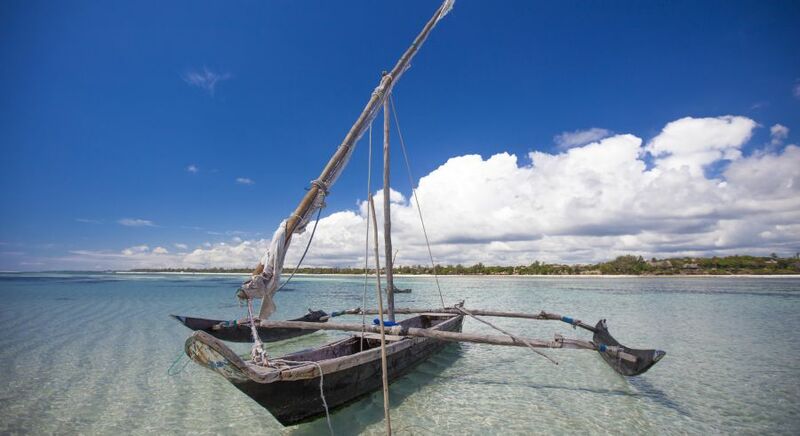 Or laze your days away on pristine Zanzibar beaches and your evenings aboard a cruising dhow by the azure waters of Pemba or Mnemba, soaking in the allure of the distant Spice Islands. 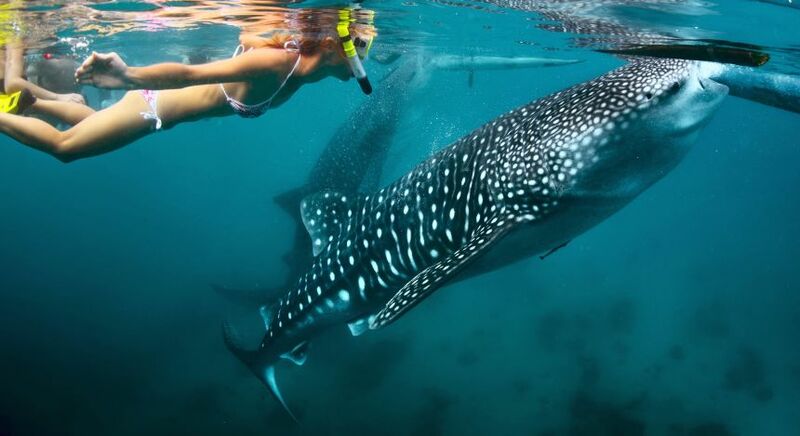 Go swimming with whale sharks in Tanzanian waters. 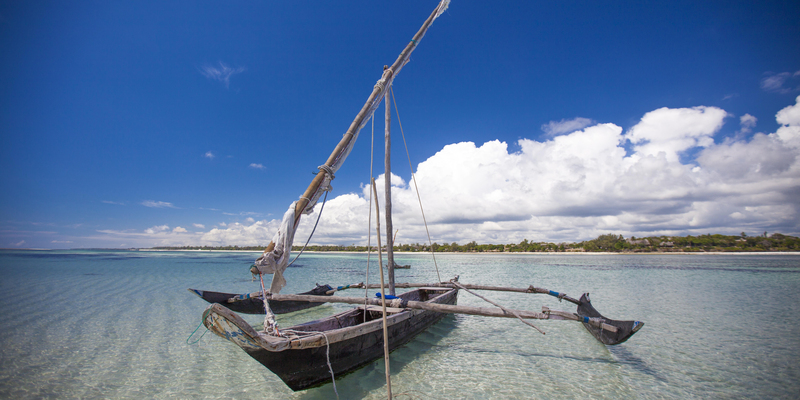 Soak in the allure of the Spice Islands as you walk, swim, snorkel, or cruise around Zanzibar. Set in the tropics, temperatures in both Kenya and Tanzania are well over 20 ° C throughout the year, climbing up to 33 ° C in the hot months. The highlands, encompassing northeastern Tanzania and southwester Kenya, are relatively cooler, and in some regions temperatures may dip below 10 ° C during the cold months of June to August. It is best to visit Kenya and Tanzania during the dry months. Travel Tip: Expect brief spells of rain and pleasant temperatures during the short rainy season. This is also the time when fewer tourists visit the national parks. May to June: The herd splits up. While one group heads west to cross the Grumeti River, the other makes its way to the central Serengeti. 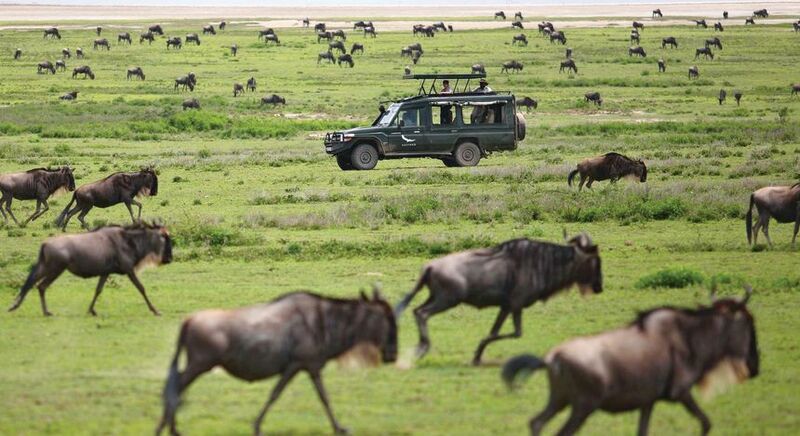 July to October: Over 1.5 million strong, the wildebeest herd makes its way to the Masai Mara. 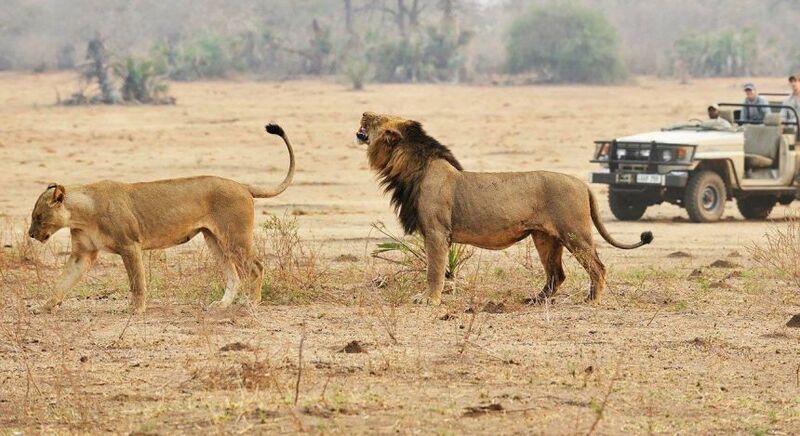 You can witness this spectacular journey in the northern Serengeti or at the Masai Mara Game Reserve. 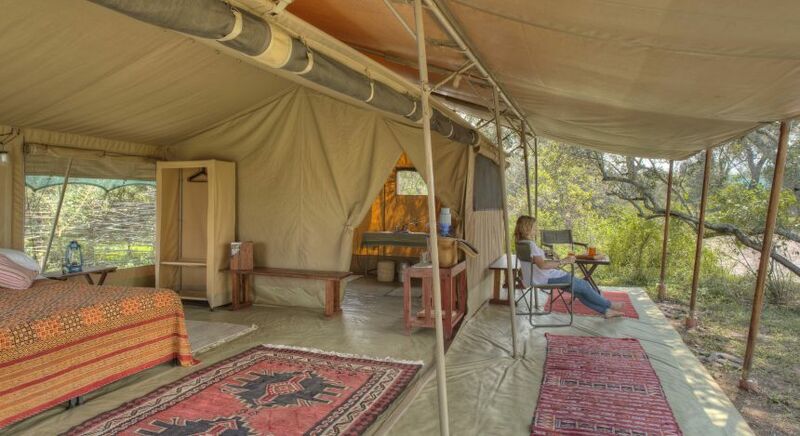 Travel Tip: Experience the Great Migration from up close at the Mara Under Canvas Camp. 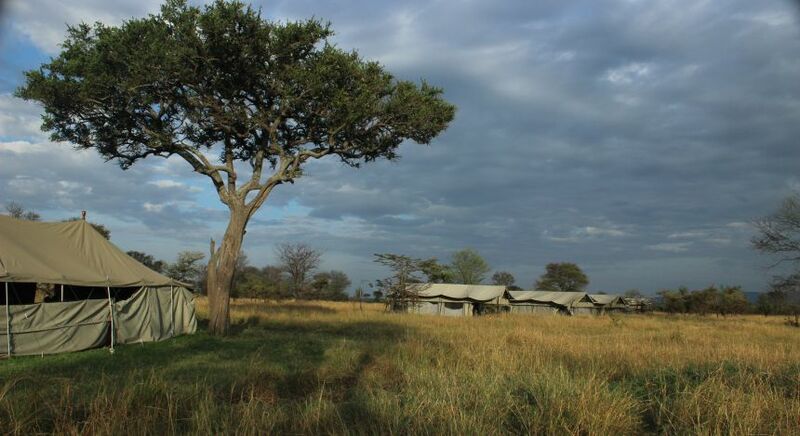 This camp changes its location several times in a year, hard on the heels of the wildebeest herd. Your front row seat to the migration is guaranteed no matter when you travel! The Both Kenya and Tanzania offer the same level of safety and security to visitors, with the exception of the border areas that are far from interesting travel destinations. Rely on your common sense and follow the basic safety rules and nothing can stand in the way of your relaxed safari vacation. Both Kenya and Tanzania offer safari experiences to suit all budgets and are among the most affordable safari destinations in Africa. In principle, Kenya may be less expensive than Tanzania, owing chiefly to the larger national parks in Tanzania. There is little or no difference in terms of accommodation and activities, with the same standards and prices on offer in the two countries. Plenty of other bird and animal species wander freely through both Kenya and Tanzania. Having recognized the potential of tourism early on, Kenya boasts better infrastructure compared to neighboring Tanzania. This is why travel in Kenya is often considered more comfortable. The distance between national parks is shorter in Tanzania, which makes it particularly attractive for family safaris as well as for first-time safari goers. In terms of animals welfare, Kenya is far ahead, but this is also because of the larger national parks in Tanzania which make it slightly more difficult to monitor wildlife activity. Tanzania may have vaster reserves but traveling within them can take longer than in Kenya. 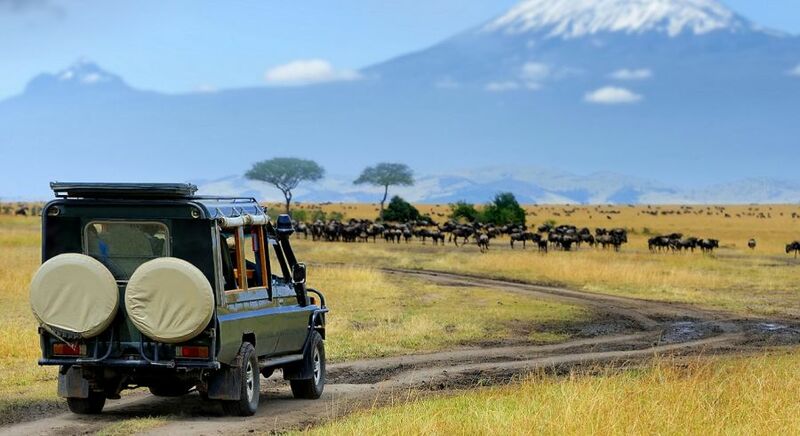 Apart from popular destinations such as Ngorongoro Crater and the Serengeti, you will find few travelers on safari in Tanzania’s national parks. So where will you go for your African safari? We recommend a bit of both. With diverse landscapes and game drives on offer at each destination, combine your Kenya safari with a beachside vacation at the Zanzibar islands. Or time your vacation to follow in the trail of the discerning wildebeest during the Great Migration, who travel to Kenya in July and return to the Tanzanian wild after a few months! 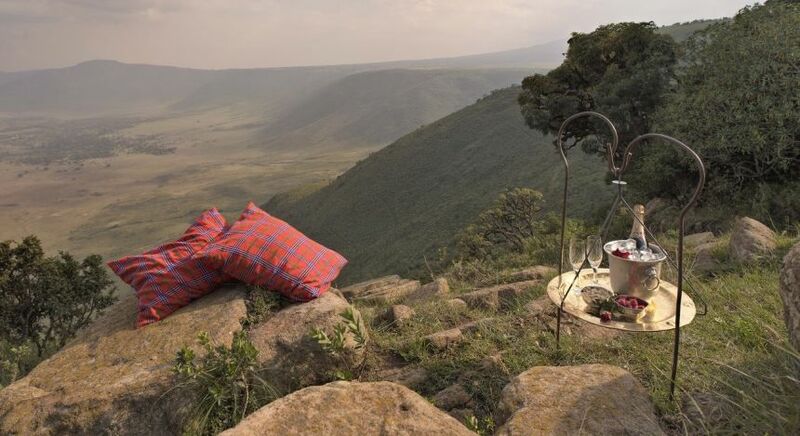 Or enjoy a walking safari in Masai Mara and follow it up with a visit to the breathtaking Ngorongoro Crater. Whatever your wilderness safari style and preference, we are happy to customize it for you according to your specific interests. Thanks for sharing this! I’ll definitely pick Kenya for my safari experience. 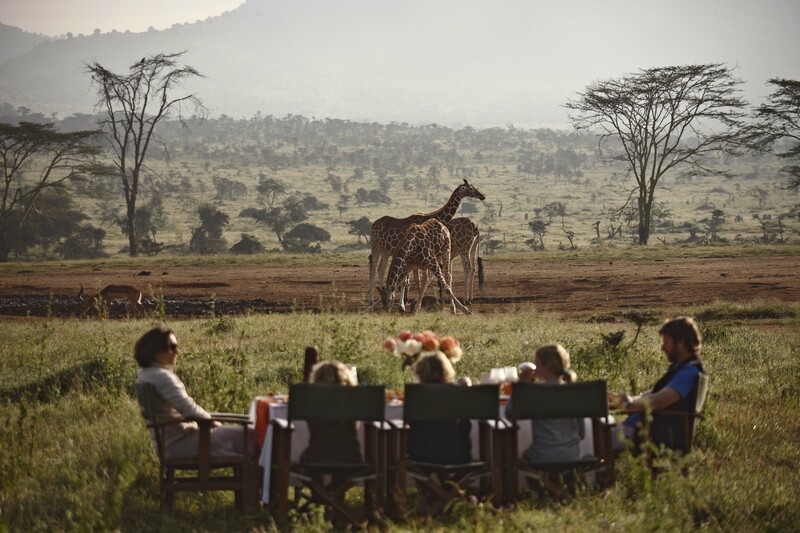 I love going on a vacation with kids and they’ll surely enjoy the activities I have read about Kenya especially dining in with giraffes and horse riding. Author: Mouli, thanks a lot for the article post.Much thanks again. Fantastic.